Kathy and I love books; they are all over the place in our house. In my office, the walls and nooks and cranny's are filled with books, mostly technical books, some of them fairly old. ​On one of the shelves, there is a timeworn black binder labeled Williams' Wisdom and Other Useful Information. In it are the notes my mentors wrote or I wrote as a principle was explained to me along with the xerox copies of a resource they shared with me. While many, many people contributed to the Williams' Wisdom compilation, ​Jerry Williams is by far the principle author, thus the name of the binder. Jerry was the first to befriend me on April 16, 1976, the first day in the new profession I walked into from a career that up until then, had been full of airplanes and largely taken place in airplane hangers. Try as I might, I can't remember what he said to me as I stood nervously at my new desk while he pulled a set of plans out of the drawing storage file nearby. ​But if I had Kathy's artistic ability, I could paint a picture of that moment; it's one of those moments that is frozen in time in my mind. In what ever Jerry said, he made me feel immediately welcome and comfortable and safe in my new environment. And he let me know I should feel free to come into the office he and Phil Sutherlin shared with any questions I might have. I ended up doing that a lot, and my unending questions were always methodically and patiently answered, even when in the course of asking them, I revealed a well intentioned but erroneous understanding of how something worked. For example, there is the time when, with great excitement, I explained to Jerry how I had just "fixed" a one pipe pneumatic controller on one of his projects by drilling out the run of a barbed tee in the system after discovering an obvious factory defect in the tee, said defect being a tiny little hole that was restricting the flow of air instead of a clean, full bore opening through the tee. If you are not fully up to speed on how one pipe pneumatic controllers work, then you may not recognize the error of my ways. But suffice it to say that the little hole I drilled out was the key to how the one pipe system operated and in drilling it out, I had doomed the system to a perpetual state of failure. At some point, I should write a blog post about the story but until then, video on the Pneumatic Control Resources page of the website may give you some insight into how one pipe controllers work and why I totally messed up the one I had "fixed". The animations of how one and two pipe controllers work start at about 4 minutes and 45 seconds into the video; prior to that, there images of different types of controllers and pneumatic equipment collected from various EBCx projects. Kid, let me explain one pipe pneumatic controllers to you. ​And that he did, complete with pictures and some xeroxed copies of manufacturer's literature that he shared. 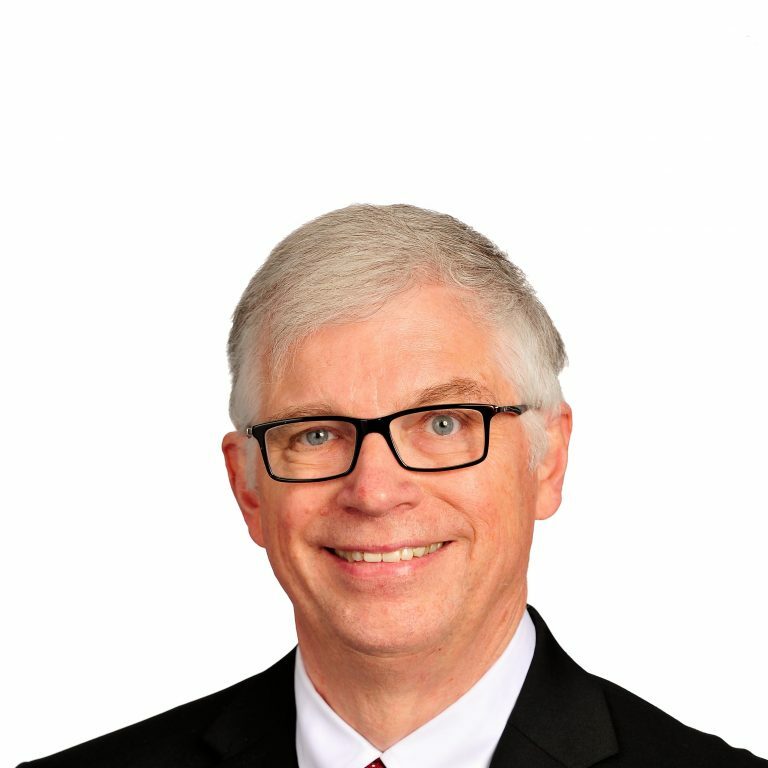 In addition to the informal authoring Jerry did for me that is represented by Williams' Wisdom, he also has written a lot for various trade journals like the ASHRAE Journal, Heating, Piping, and Air Conditioning, and Consulting/Specifying Engineer. Frequently, I find myself handing out his articles because they are very well written explanations of the physics behind the topic and they are becoming harder and harder to find out there on the internet. So, with his blessing, I have decided I would make a page here on the website so they are more readily available to people that might need them. I will start by uploading his articles on fan and pump heat, since they are the ones I most frequently refer people to. But I will be adding to that as time permits or when the need arises, so check back every once-in-a-while to see if there is something new. The work performed by fans and pumps as they move mass around in our buildings shows up as heat, just like when you pump up a bicycle tire and the hand pump gets hot. 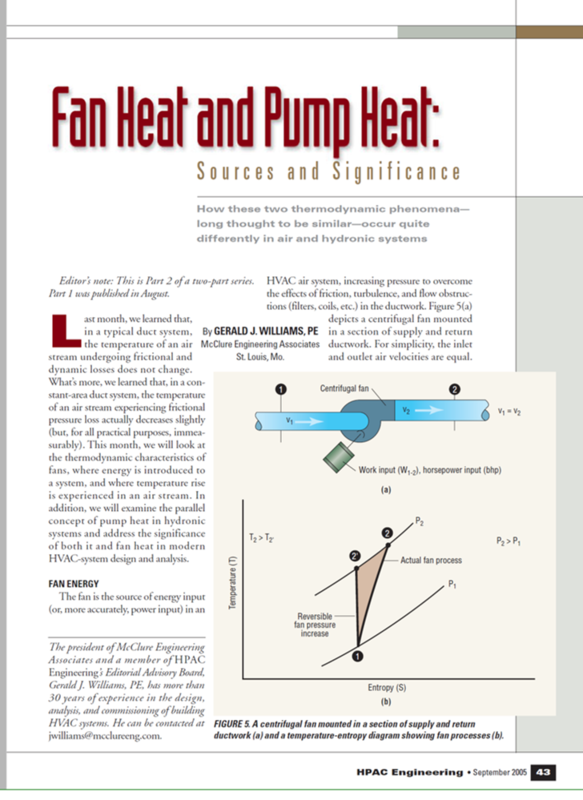 In these two articles that Jerry wrote for Heating, Piping, and Air Conditioning, he explains the physics behind the phenomenon for both air and water systems and also provides some insight into the practical implication the phenomenon has for our designs.